New “Nagato is calling” Nagato souvenirs! 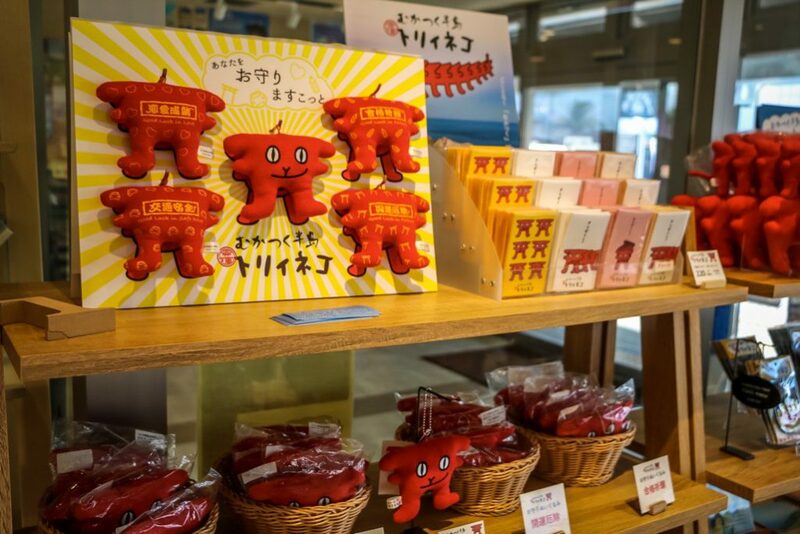 Nagato is home to many souvenirs made from familiar locals ingredients, like kamaboko fish cakes, or other snacks. 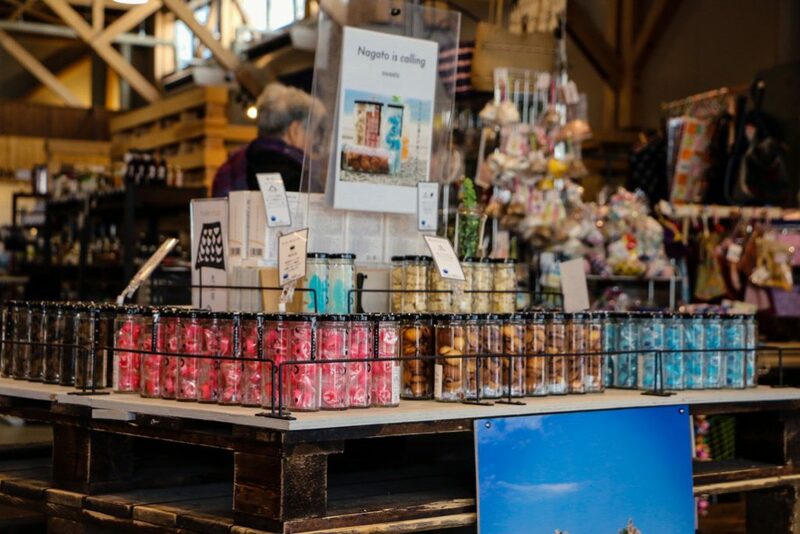 We felt that there were other souvenirs we'd like to make, other ways we'd like for people to get that Nagato feeling, and it was with these feelings that these new Nagato souvenirs came into being. 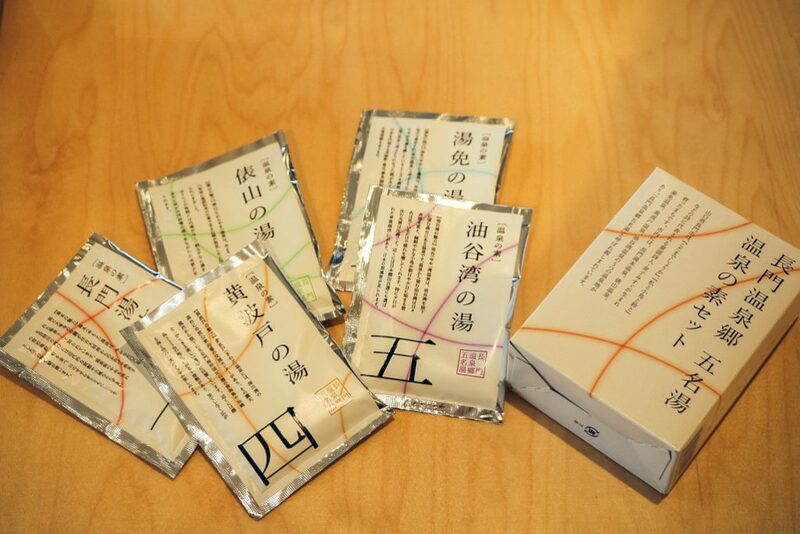 These candies are decorated with a motif of Nagato locations and local foods, made with local Nagato materials. 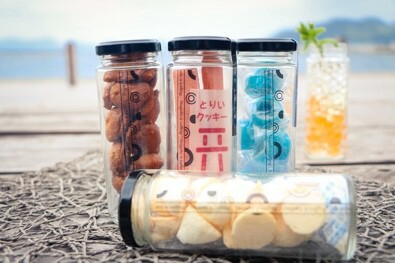 With their stylish packaging, these candies are popular as gifts and souvenirs. 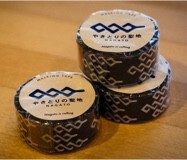 [Onsen Bath Salt from Nagato’s Five Famous Onsen] This onsen bath salt was created in the image of each of Nagato’s five hot springs (Nagato Yumoto / Tawarayama / Yumen / Kiwado / Yuya Bay). This cat has a strangely irritated (“mukatsuku,” in Japanese) expression, and lives on the Mukatsuku Peninsula. Long ago, the dragon god of the Mukatsuku Peninsula fell in love with a cat that lived in the torii gates on the peninsula. Thus the TORIINEKO was born. Sweet character keyholders, safety stickers, and more are available. 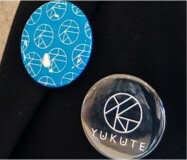 Each type is available for sale at YUKUTE Tourism Information Center, and at the Motonosumi shop. Only available at YUKUTE, inside Senzaki Kitchen Michi-no-Eki! 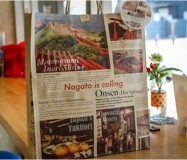 This paper bag has a design of famous locations around Nagato with English lettering on all sides. 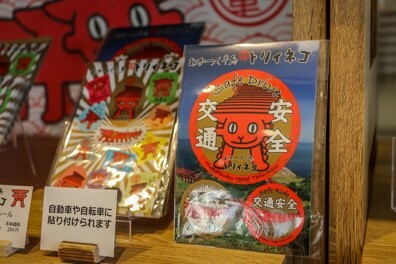 Available for sale at Senzaki Kitchen Michi-no-Eki, or at YUKUTE Tourism Information Center. 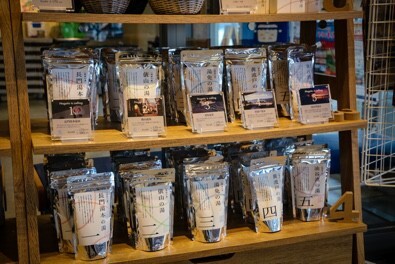 Consider taking home something from Nagato as a souvenir of your trip.